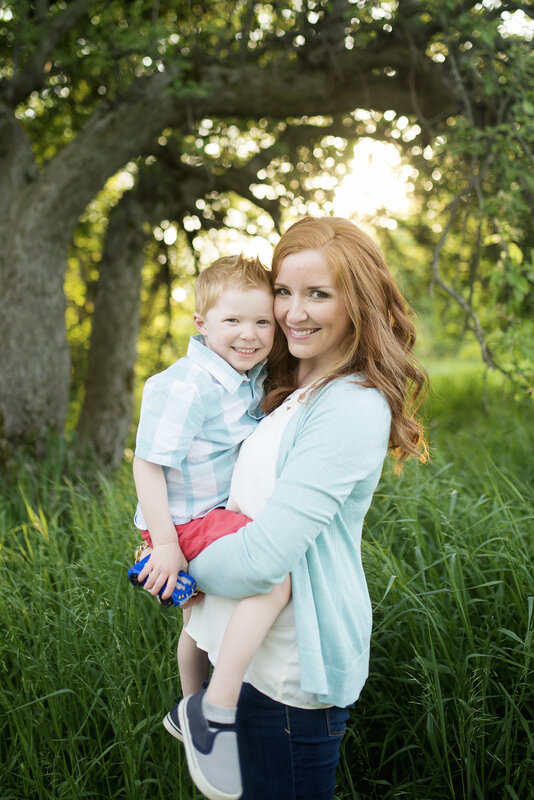 Raise your hand if you have a picky toddler! I sure do. One day Hudson LOVES strawberries and can’t get enough of them…and the next, he won’t even touch them. So that means I’ve got to be flexible and creative at all times. I’ve discovered the key to getting Hudson to eat his lunch: options. Lots and lots of options. And cute food picks help too. 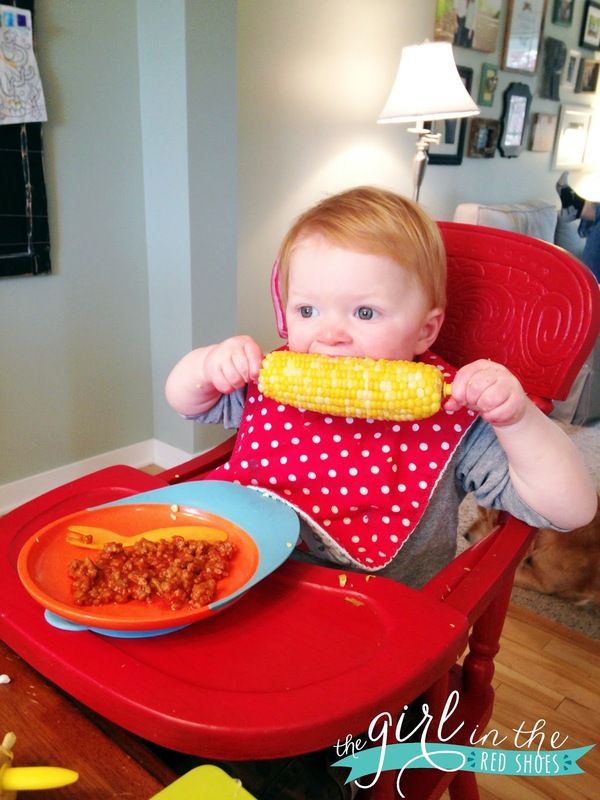 One thing this boy will always eat is corn on the cob. But we can’t have that for every meal (which sad face. I love me some corn on the cob!). 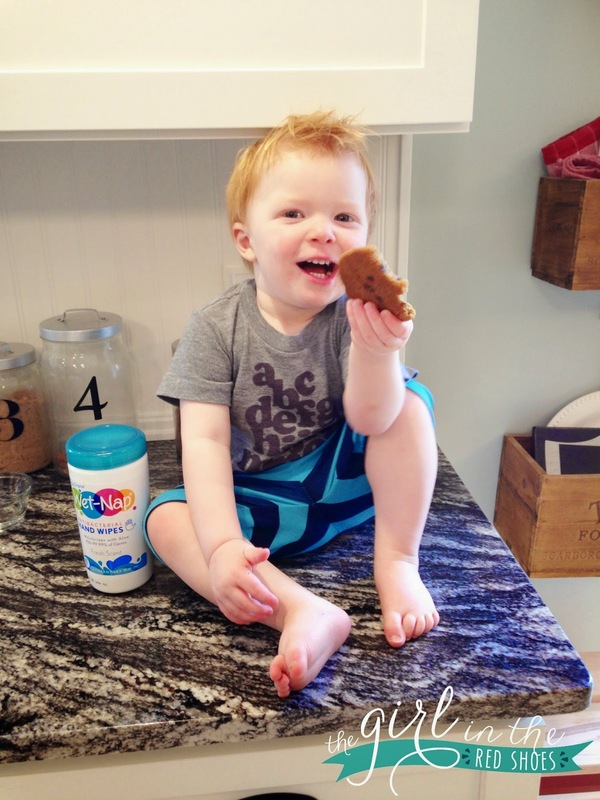 I love it when moms share what their toddler eats…it always helps me come up with new ideas! So here’s the run-down on what Hudson likes for lunch. Like I said, Hudson is more likely to eat a meal if he has lots of options. On this day I gave him homemade applesauce (recipe here), banana dog bites (recipe here), cheese, raspberries, and carrot sticks. He ate maybe one carrot stick but loved the rest, so I’ll count that as a win! 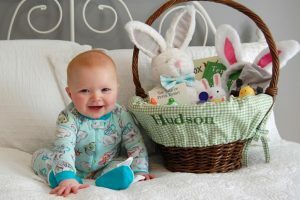 (Hudson’s plate is from here and the small cups are from here). Lately Hudson has been loving sandwiches and anything on a stick, so I made him a simple turkey with cheese on whole wheat bread, some strawberries, and our new favorite, Snapea Crisps (which are so so so good!). And this was probably Hudson’s favorite! Yogurt, cheese, brown rice with chicken and black beans (leftover from dinner), tomatoes from our garden, and strawberries. And of course a homemade cookie on the counter for dessert. Because I’m a fun mom, right? 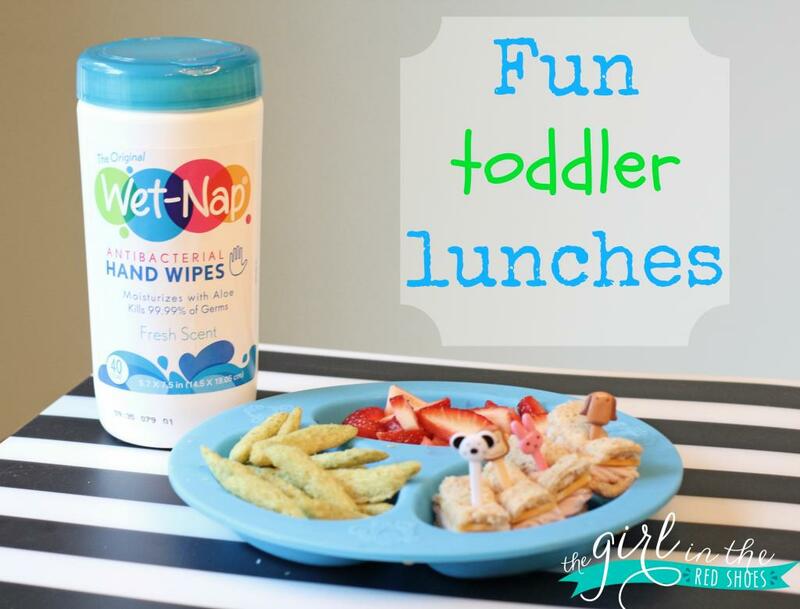 I stopped by Walmart to pick up some Wet-Nap wipes (coupon here) because food + toddler always equals a big mess! 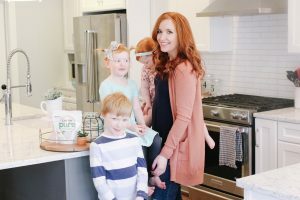 These wipes are perfect for quickly cleaning up the mess and helping me keep my sanity. 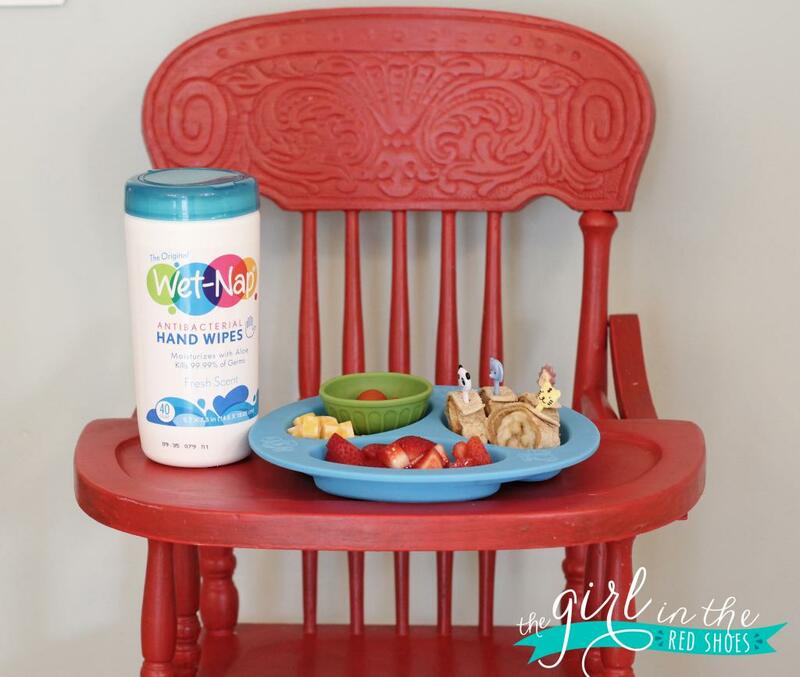 We love using the We-Nap wipes for easy clean up and they are perfect for getting little sticky hands clean. I keep a container of them in each of our cars for clean-ups on the go. And we do a lot of clean-ups on the go around here. These new wipes are super soft, hold up well, and moisturizes with aloe. Click here for $0.55 off any Wet-Nap product while supplies last. You can find them in the napkin/paper goods aisle at Walmart. 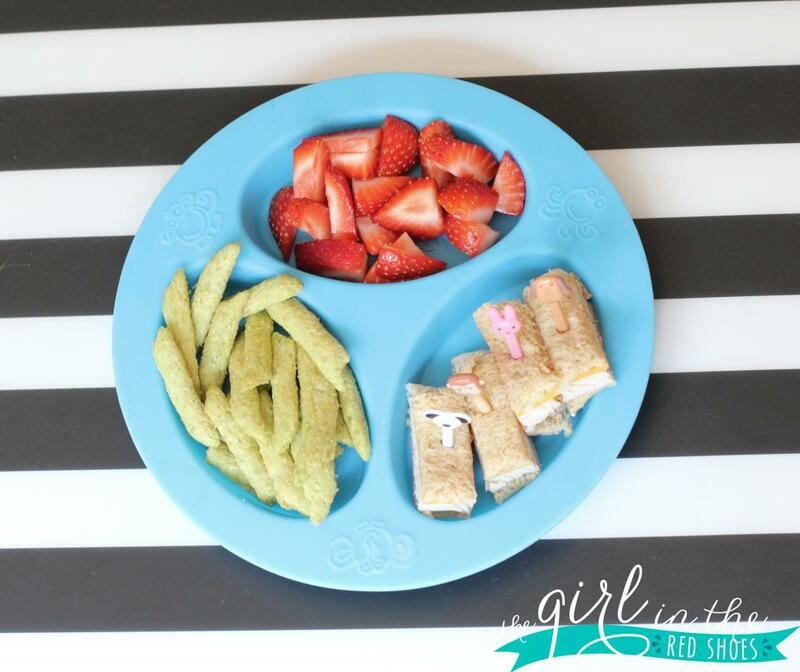 What do you make for your toddler for lunch? I would love to know where you got that plate and smaller containers. I'm embarrassed to say that lex would probably eat the cookies… And snub every other thing. She's lame- because all those wraps and bites are adorable! I swear the more adorable i make her good the more she snubs it. 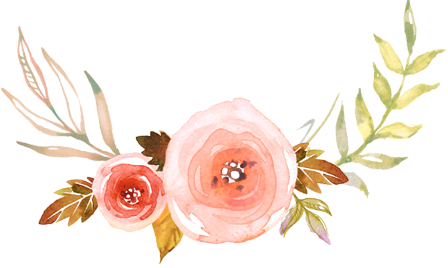 I love these posts too on fun food ideas for toddlers. My son's not quite to the age of feeding himself yet with utensils but I love how pretty you make each of his meals!! Awesome job! I'm definitely going to give those banana dog bites a try…and the animal picks!!! Great ideas! Man, can you make me some of Hudson's lunches? Haha. Aww all such good & healthy options! I think Hudson eats better than me! LOL! Where did you find his high chair!? I love it! I definitely can learn a thing or two about getting creative with meals…Ethan is SO picky!!! I have a 10-1/2 month old, but these meals aren't too far off for us. Thanks for the inspiration! 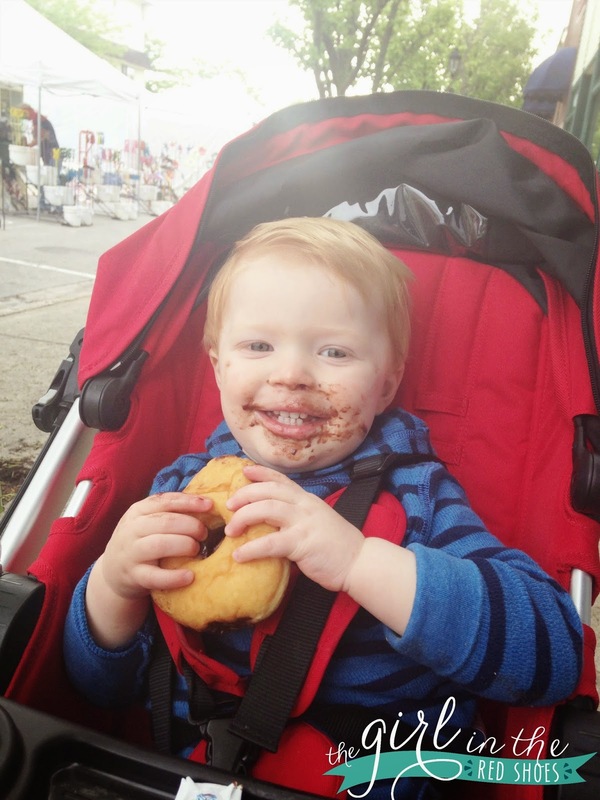 Owen loves good on a stick too! Thanks for sharing where you bought the pics! I just went and bought some for O! Awesome post!! 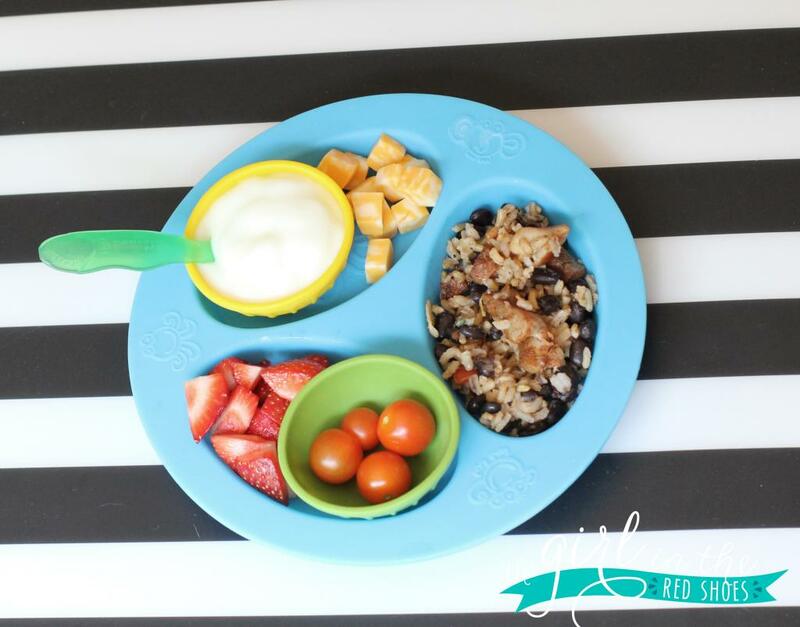 Love seeing what momma's are coming up with to feed their littles. And don't you love those bowls from World Market?? I use them for everything. How funny, I was just looking up toddler meal ideas yesterday! My girls only eat chicken and cheese. Getting them to eat anything else is an uphill battle. GREAT post! I'm always trying to come up with new ideas? 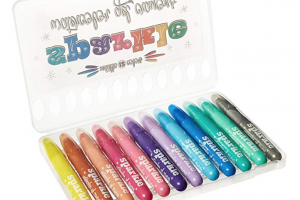 Have you tried veggie straws? Love this post! My little 17 month old is starting to get pickier the older she gets, but you're so right. It's all about options! 🙂 I'll be trying out some of your ideas soon. Thanks! 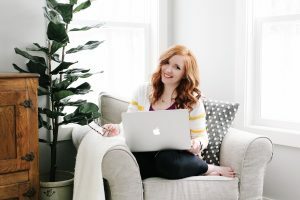 I love getting meal ideas from other moms – sometimes I'm at a loss with what to feed my daughter, so it's great seeing posts like these! 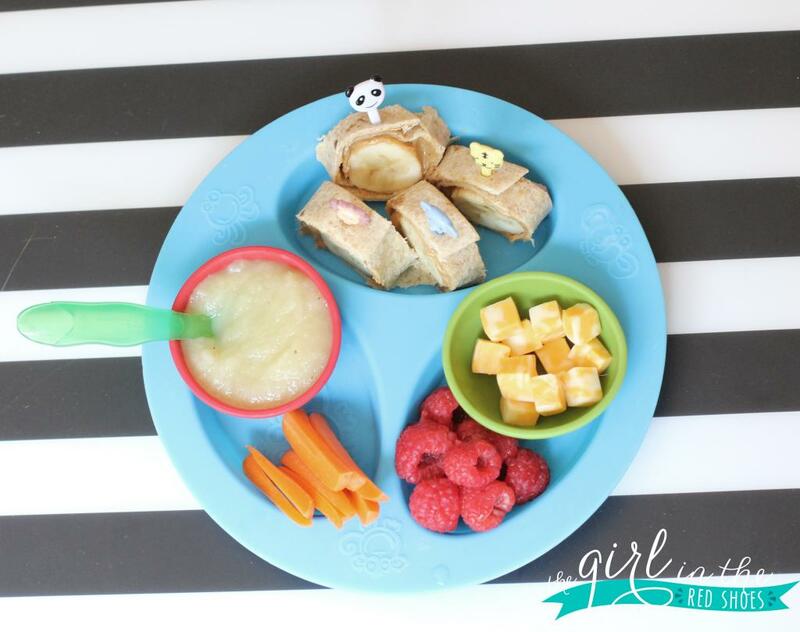 Love getting new ideas for toddler food! So trying corn on the cob with my little man!